A small upstart from humble Hiroshima did the impossible. It introduced technologies that were said to be impossible, long after many had come before, tried and failed. Sound familiar? We’re not talking about 2017’s introduction of SKYACTIV-X, the world’s first commercial compression-ignition engine, but rather a technology we unveiled 50 years ago, the Wankel rotary engine, which shares a similar story to Mazda’s latest innovations. For those who may not know, the Japanese Classic Car Show, or JCCS as it is known to most, is the largest all-Japanese vintage car show in the U.S., attracting upwards of 5,000 fans and hundreds of cars from the Land of the Rising Sun’s many brands. Mazda, a primary sponsor of the event, uses the opportunity each year to highlight its heritage, whether the 25th anniversary of the MX-5 several years ago, Mazda’s premium and luxury models, racecars or this year’s theme: The 50th anniversary of Mazda’s revolutionary rotary engine. The first time a Mazda rotary went on sale was May 30, 1967, when the automaker introduced the Mazda Cosmo Sport 110S sports luxury coupe, showcasing breakthroughs from six years of dedication and development. 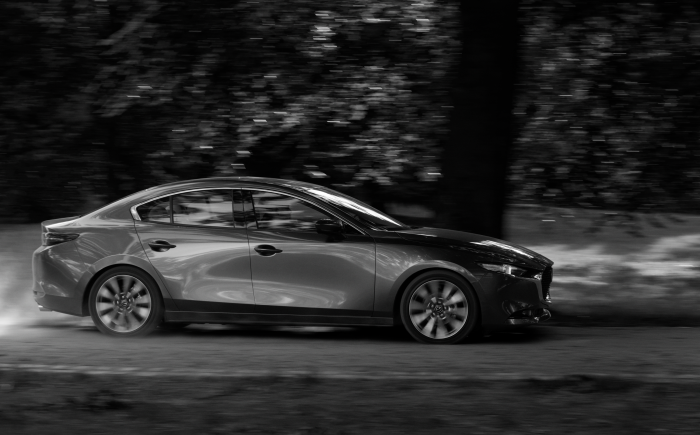 Mazda North American Operations is fortunate enough to own one of the first two cars brought into the U.S., as it was imported by aerospace company Curtiss-Wright to study Mazda’s design. The 110-horsepower, 1.0-liter rotary-powered Cosmo was a revelation in its day; the first twin-rotor car, and the first that successfully went on to create generations of cars that would succeed it. And, naturally, it attracted engineers from all over the world to study its lightweight, powerful design in an era when it was thought to be the next breakthrough in changing the automotive landscape. It was also a springboard for Mazda to keep pushing for the next big idea in an era of little other true breakthroughs. Of course, Mazda’s collection-owned 1967 Cosmo Sport 110S will be front and center at the lawn in front of the historic Queen Mary ship. But so will its immediate successor, a 1972 Cosmo Sport. The second-generation Cosmo Sport, made from 1968 to 1972, was an evolution of the original Cosmo, sharing its basic chassis but with a bigger engine, a more-efficient transmission and a longer wheelbase for added stability. Mazda had begun racing several of its smaller models in Japan by the early 1960s, but the Cosmo Sport would be its first major success. Mazda would only go on to greater things from there. One of them would be by way of the 1972 RX-3 SP racecar owned by Mazda executive Robert Davis that competed in throughout the 1970s in the IMSA Champion Spark Plug RS series. Not only was the RX-3 a success for the brand, but it continued a series of rotary-powered sedans, coupes, station wagons and even a pickup truck. Davis’s RX-3 recently underwent a two-year restoration and is representative of the racing era in the U.S. that jumpstarted Mazda’s motorsports support. Now, tens of thousands of drivers throughout the world compete in Mazda-powered racecars, from between Mazda’s rotary-powered racers to the MX-5 Miata and even the top-level RT24-P DPi prototypes. Sharing the spotlight with the RX-3 are three generations of RX-7s, perhaps Mazda’s best-known rotary-powered sports car. Going on sale in 1978, the RX-7 proved its worth on racing circuits throughout the world. Mazda’s first-gen car is a 1985 RX-7 GSL-SE, which came with a 135-horsepower, fuel-injected 1.3-liter rotary engine. Mazda’s Heritage Collection car has but 1,400 original miles on it. It was succeeded by the larger second-generation RX-7 that saw many improvements, including the adoption of standard fuel injection and the option of a turbocharger that boosted engine output to 182 horsepower. While that horsepower number is less than what you might find in today’s Mazda3, the RX-7’s light weight, nimble handling and development over thousands of grueling miles at Mazda’s Miyoshi Proving Grounds helped it earn podiums finishes on racetracks and throughout annual automotive awards, winning a Car and Driver “10Best” award three years in a row. Mazda’s all-white RX-7 is a 1988 Turbo II 10th Anniversary Edition, fully loaded with every option. The third RX-7 displayed is a 1995 model, a full-fledged world-beater, equipped with a twin-turbocharged version of the faithful 13B engine that served in its two predecessors. Coming from the factory weighing little more than its 2,800 lbs. predecessor, with 255 horsepower, it set the world alight with performance that punched far beyond its price point. Today, it is a highly sought-after car, especially in like-new condition, with its design and tuning work done by the very same people who worked on the Le Mans-winning 787B. Lore has it that a Japanese competitor was testing its supercar on the Nürburgring track in Germany, Mazda’s engineers were also developing the third-generation RX-7. Upon seeing their competitor’s speeds, they refused to leave until they could tweak the car to pull off a faster lap time of the 12.9-mile circuit. Of course, they accomplished their goal after many extra days away from home. Sadly, the third-generation was only sold in the U.S. from 1993 to 1995. It continued through 2002 in its Japanese home market. Capping Mazda’s Japanese Classic Car Show display is the ever-popular 767B. Raced at the 24 Hours of Le Mans in 1989, it was the first prototype racecar powered by a four-rotor Mazda engine. As competitors continued to ramp up power output, so did Mazda, eventually introducing an even more powerful R26B engine in its successors, the 787 and 787B. Painted the same green and orange “Renown Charge” livery as its more famous successor that won the day-long classic, it’s a testament to Mazda’s promise to never stop challenging, as are all of the milestones on the road and racetrack that define Hiroshima’s little automaker that could. As Mazda continues to cultivate fans and spreads joy through driving at JCCS each year, it’s important to look back to use the past as a reference as it plans for a very bright future.